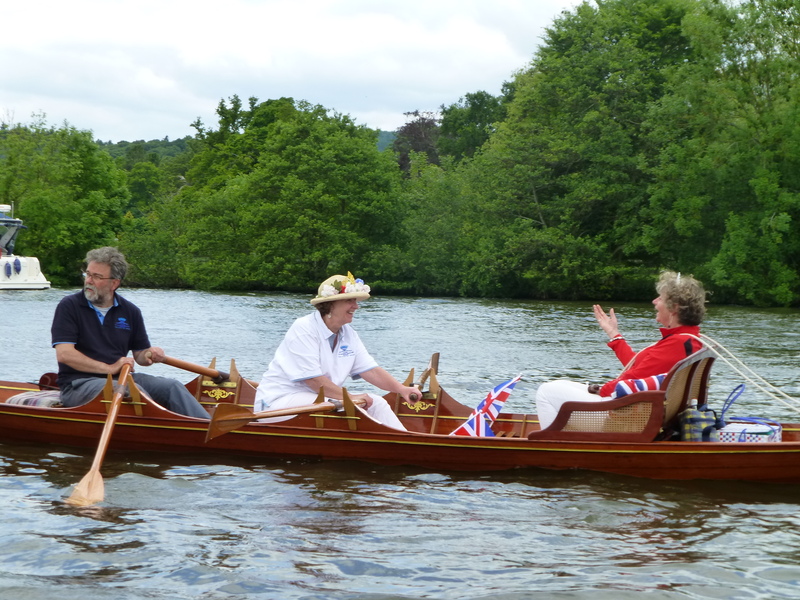 MOLLY took part in the river pageant in Henley to mark the 60th anniversary of the Queen’s coronation. 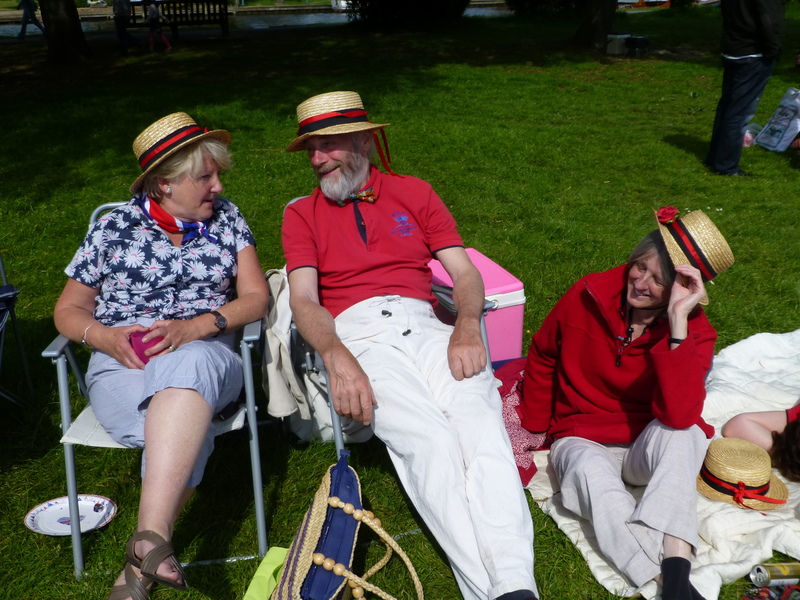 On a lovely warm, sunny day hundreds of spectators lined the riverbanks to watch the procession of more than 90 boats. 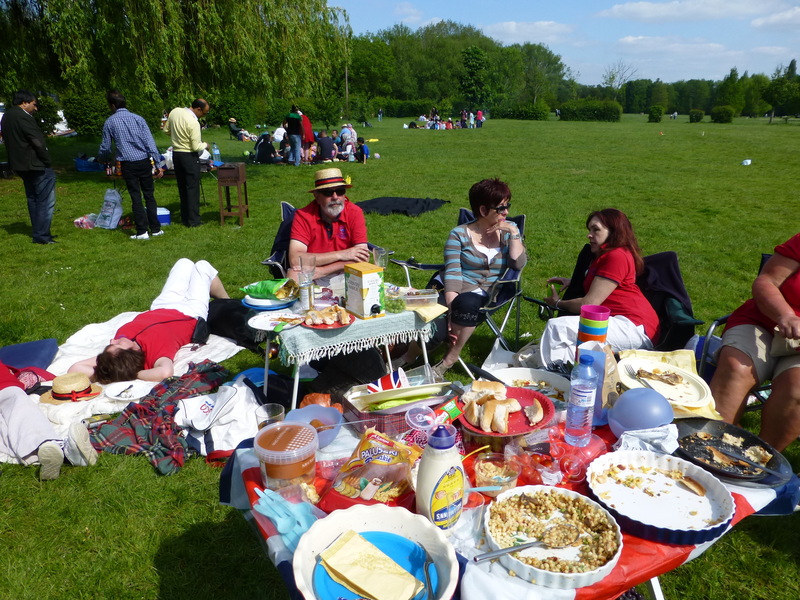 Like Molly, many were decorated with flowers and Union flags and some of the crews dressed in the style of 1953, the year the Queen was crowned in Westminster Abbey. 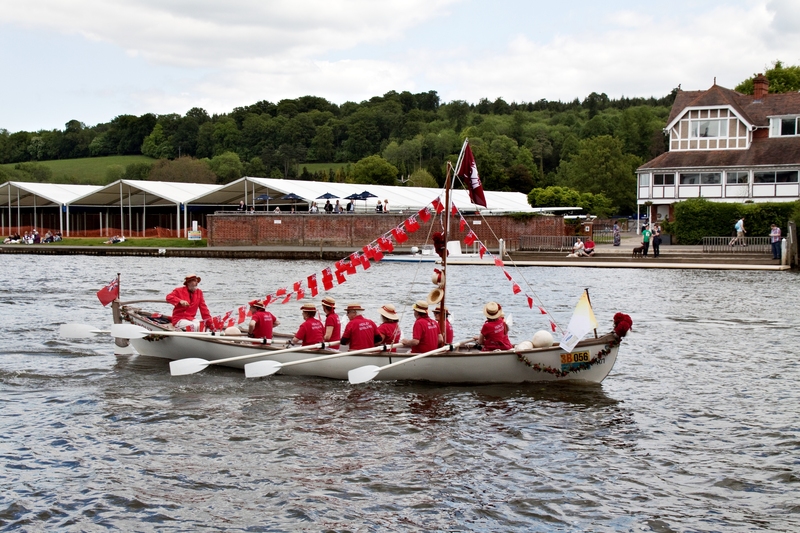 The fleet of vintage, classic and character boats mustered below Temple Island and then processed upstream through Henley Bridge. 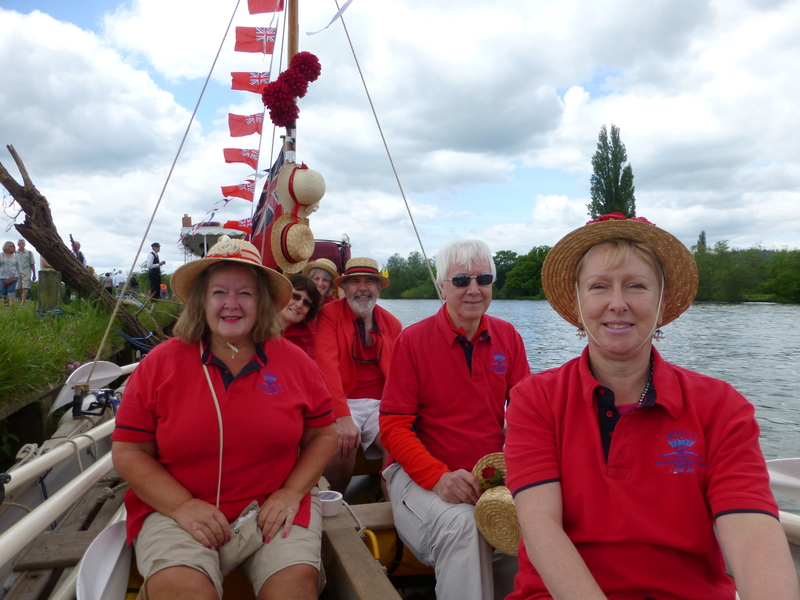 The 140-year-old steamboat Sabrina led the motor-powered launches and cruisers, followed by the man-powered flotilla led by Molly, and included Colin and Lucie Henwood in their 1908 double Thames skiff, Gillian. 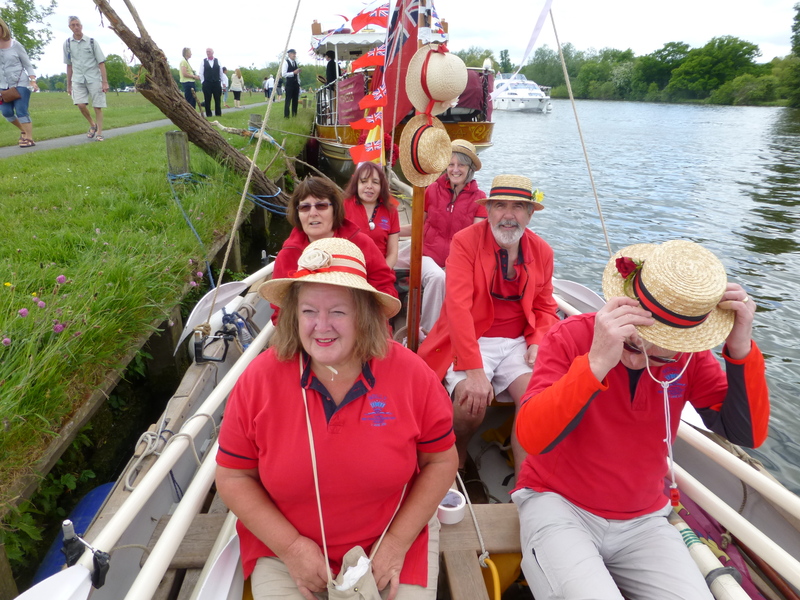 The Lord Lieutenant of Oxfordshire, Tim Stevenson, and the Henley Mayor, Stefan Gawrysiak, took the salute from the top deck of the Sabrina as the boats passed by them to the final destination of Marsh Meadows. 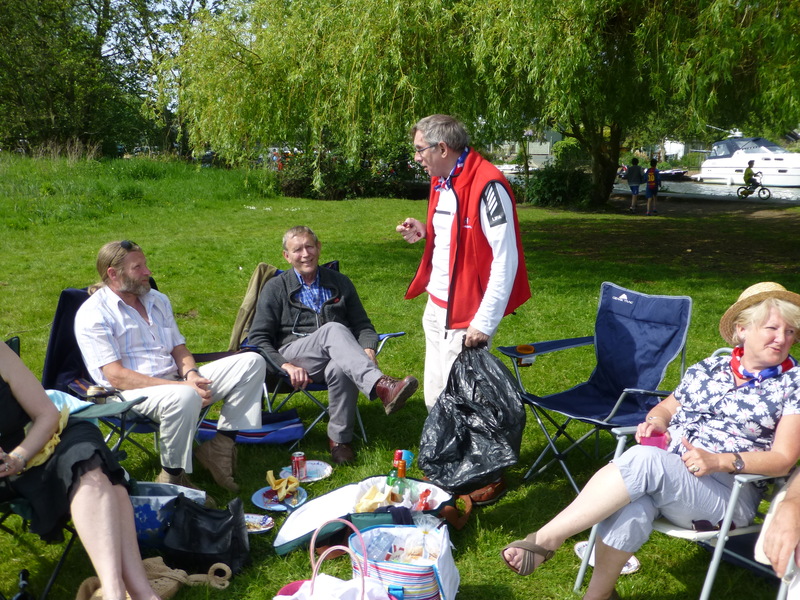 Here we moored Molly and met up with our shore support team, who had brought along the picnic, tables and chairs. 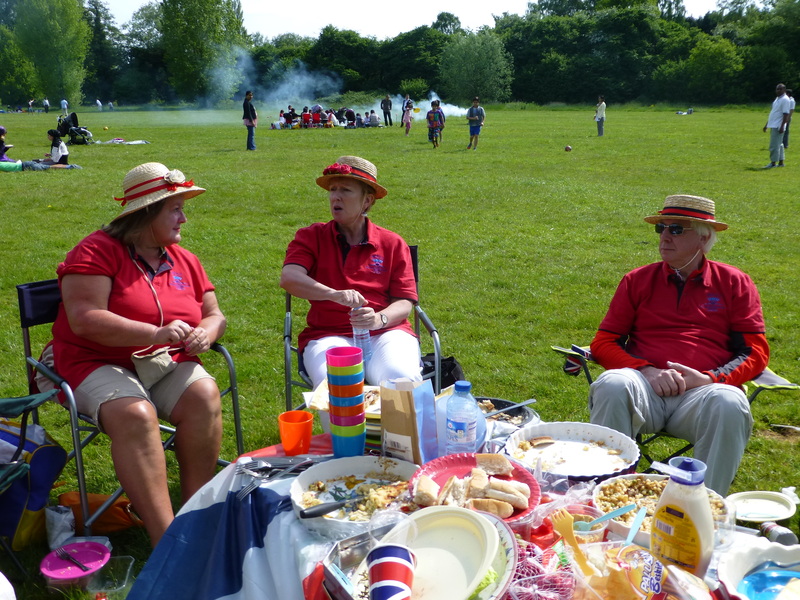 The rest of the afternoon was spent convivially feasting and basking in the sunshine – so different from the chilly, grey day one year earlier when we took part in the Queen’s Diamond Jubilee Pageant on the Thames in London!